This tour brings you to all “must see” natural and cultural sights of Lithuania, Latvia and Estonia in 9 days. 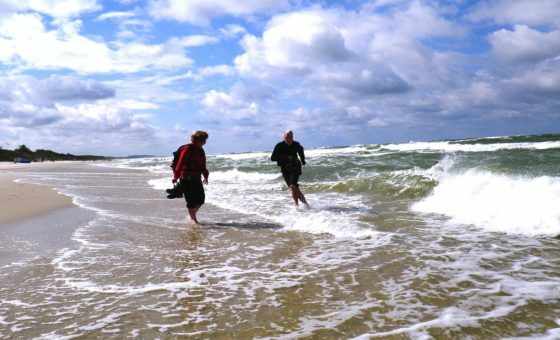 Do you want to explore the diverse nature of North-East part of Europe? 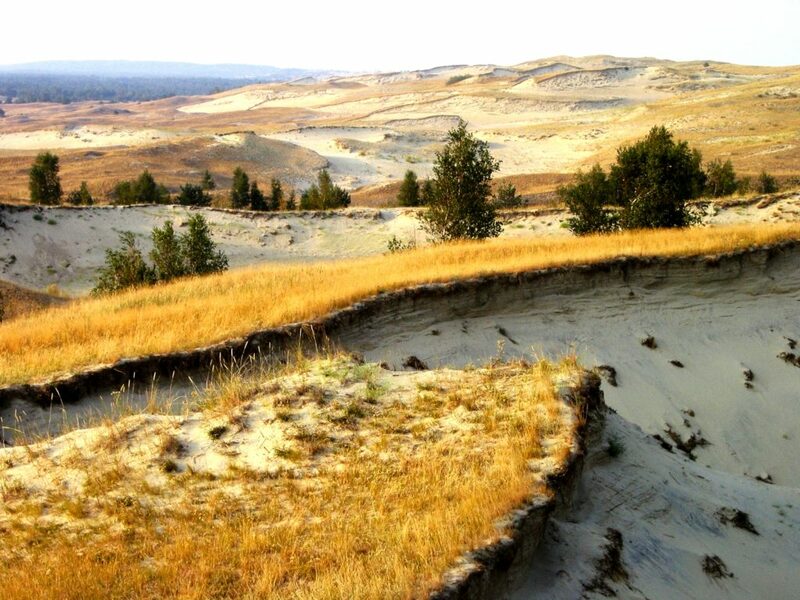 We invite you for a trekking in a dense forest of Lahemaa and Gauja Nationla Parks, climb the North Europe’s highest dunes in the Curonian spit, unwind in a Blue Flag beach of Jurmala seaside resort and walk along picturesque Trakai lakes. Step outside the major touristic route to see a gem hidden from the major crowd – Soviet Union’s complex of ballistic missile silo launch housing a Cold War museum nowadays. To complete your holiday in the Baltic States, we invite you to visit 3 UNESCO Heritage sites – Baroque Vilnius, Jugendstil Riga and Hanseatic Tallinn. After arrival and transfer to your hotel, find some free time for your personal discoveries of the Vilnius Old Town – without any plans, just following your eyes and heart. Prepare your questions – as they can be answered by the guided tour on the next day. Remember to have some proper rest and free time as your grand unforgettable travel is about to start! Start the day with a walking tour of Vilnius’ Old town. You will discover the largest Old Town in Eastern Europe as the guide introduces you to the daily life of the city by showing you some of the local favorites. You will taste different types of beer in a local brewery, stop by a popular bakery for a fresh pastry or learn how to choose the right piece of amber in the local market. Afternoon excursion to Kernave (35 km from Vilnius), UNESCO World Heritage Site and the first capital of pagan Lithuania. Here you can climb on five hill forts and admire impressive view of river and forestry hills. Enjoy a walk through the forest paths following the Neris river loops of Neris Regional Park. This morning you leave Vilnius and head towards Lithuanian seaside with a number of exciting sighs on your way. First stop and a short walking tour in Trakai, the former capital of Grand Duchy of Lithuania with it’s beautiful insular castle of the 14th century, situated on an island in the middle of a lake. Trakai’s unique location on the peninsula surrounded by five lakes has it dubbed itself the “town on the water”. Continue to Zemaitija National Park, where you will visit to the former Soviet military base of Plokstine. Cold War Museum is located in the former Soviet Union’s complex of ballistic missile silo launch. Former missile and the internal apparatus control facility are equipped with a historical exposition telling about the five decades of the Cold War – one of most dangerous military conflicts in human history. Departure to Riga (310 km from Klaipeda) with two stops on the way. The first stop at the famous Hill of Crosses near Siauliai (160 km from Klaipeda), a mystical and unique pilgrimage site with more than 100 000 crosses from all around the world on it. It is the only place of its kind in the world, included to the Guinness Book of Records. Continue to Jurmala, a serene get away destination and the most famous Baltic seaside resort. It a perfect place for a walk along sand dunes and a white sand beach along the Baltic Sea or feel the fresh sea breeze mixed with a sweet smell of pine forest. After a stroll along the beach continue to walk in the town and explore its distinctive wooden architecture of fancy art nouveau and national romanticism wooden houses built in late 19th and early 20th centuries. Highlights: Riga Old Town, City Market, Canal tour. 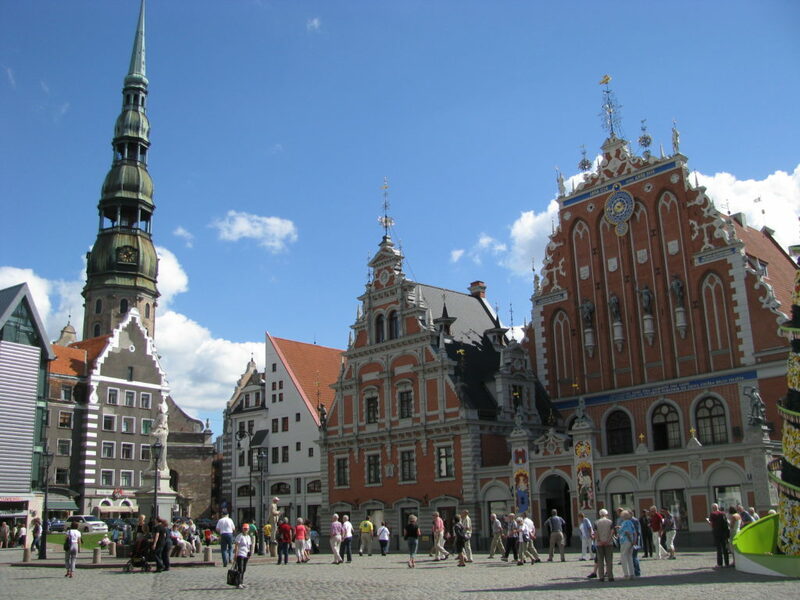 After the breakfast we invite you to get the most from the Riga City Tour both by bus and walking. Being the largest of the Baltic capitals, Riga is a true pearl of architecture – you can see churches that were built at 13th century, the city’s very origin, and the medieval buildings of the Old City, the unique Art Nouveau examples, as well as wooden architecture which have survived for centuries. The well-organised Old City and surroundings has a great number of museums, art galleries, bars and open-air cafes with live music. Free afternoon to explore the city on your own. Once you get to know Riga a bit – look for more unusual ways to learn it better, for example, visit the Central Market, which found its home in ex-zeppelin angars, or discover the city riding a boat on the City channel or along the river coast. 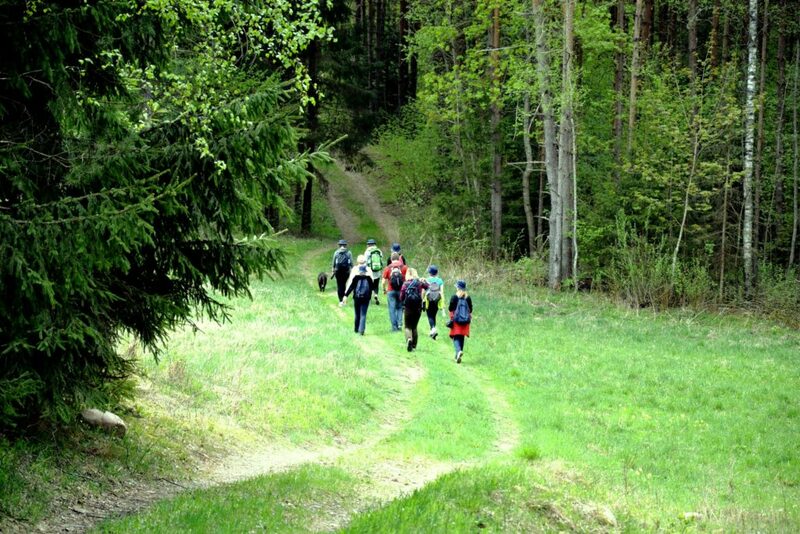 This morning you will leave Riga to spend your afternoon in Gauja National Park, called “Latvian Switzerland”. Gauja National park includes the valley of the Gauja River and together with its tributaries it forms a particularly original landscape. The territory comprises more than 500 monuments of archeology, architecture, history starting with 11th century. 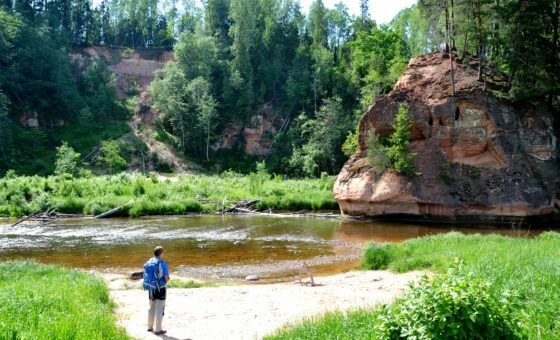 Enjoy a walk in beautiful forest pathways along rivers, stop to admire a scenic view on the 13th century Turaida Castle, take aerial cable car from Sigulda to Krimulda, visit Turaida Castle, one of the most popular tourist attractions in Latvia with its Livonian order’s castle ruins, the observation tower and history museum. After a lunch with traditional Latvian meal in an authentic countryside tavern, you will continue to Tallinn. Spend a free evening in the Estonian capital. After the tour you will leave Tallinn and have a bus transfer to another stunning sight of Estonia – Lahemaa National Park (60 km from Tallinn). Your afternoon will be spent walking in the Estonia’s best and largest national park along untouched sandy beaches, among cascading waterfalls and through mossy pine forests. Turn this experience into your own walking safari by observing some of 200 species of birds and animals inhabited here. Stop to visit an elegant Palmse manor and the beautifully preserved 400-year-old fishing hamlet of Altja. Transfer to Tallinn airport. Departure.